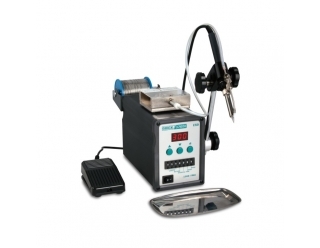 ● High frequency current heating, rapid heating and thermal recovery. ● Micro computer control, digital temperature calibration, auto sleeping function. 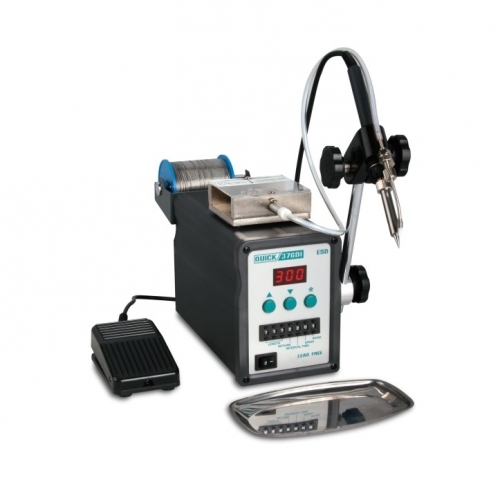 ● Auto and manual ways of solder feeding optional, auto solder feeding mode can solder nine successive soldering joints at most. ● Two types of feeding assembly optional, easy to use. ● Pedal switch and manual switch available. ● Solder wire breaking function, suitable for lead free applications.